Is Advanced Topography-Guided LASIK for You? If you’re tired of glasses or contacts and are wondering if Advanced Topography-Guided LASIK or some other procedure is right for you, the sections below may help you sort through your choices. HOW DOES THE EYE WORK? What does it mean to be farsighted or nearsighted? Are you confused about the numbers on your prescription form? Read up on the mechanics of the eye. LASIK or PRK – WHICH IS RIGHT FOR ME? LASIK is the most common vision correction procedure, but it is not the only one. Check out other laser vision correction procedures in the section on laser eye surgery. WHAT ARE MY CHOICES IF LASIK IS NOT FOR ME? – Patients who are not good LASIK candidates have more options than ever before. Find out how ICL (Implantable Contact Lens) surgery and Refractive Lens Exchange (RLE)/Cataract Surgery can help you see clearly. HELP! I CAN’T FIND MY READING GLASSES! 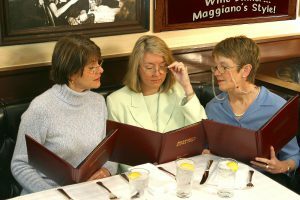 – Baby Boomers are finding more and more that they can’t leave home without their reading glasses. Discover how some people have avoided reading glasses for many years by having their vision corrected with LASIK or PRK and a technique called monovision. Additionally, presbyopic vision can also be corrected with non-laser vision procedures like Refractive Lens Exchange Surgery (RLE) that help reduce dependence on glasses or contacts. HOW TO CHOOSE A LASIK SURGEON – Choosing the right LASIK surgeon can seem like an overwhelming task. Our sections on Dr. Michael Furlong, Dr. Mona Sane and Ten Tough Questions to Ask Your LASIK Provider may make it easier. See how Furlong Vision Correction measures up. ONLY AT FURLONG VISION CORRECTION – We provide a full range of services for your vision needs: Advanced Topography-Guided LASIK, PRK, Refractive Lens Exchange, Laser-Assisted Cataract Surgery with Advanced Lifestyle Lenses. See what our patients are saying about us after their LASIK or PRK surgery or RLE or Cataract Surgery. I’M READY TO DO IT. WHAT CAN I EXPECT? – If you want a shortcut to all the questions and answers on LASIK, ICL and Refractive Lens Exchange (RLE)/Cataract Surgery, our FAQs will give you the straight story. DOES TECHNOLOGY MATTER? Does the equipment really make a difference? Absolutely! Skim through this section to find out why we think it does. HOW MUCH WILL IT COST? – At Furlong Vision Correction, we believe in making life changing vision correction affordable. See how our payment and financing options can help.